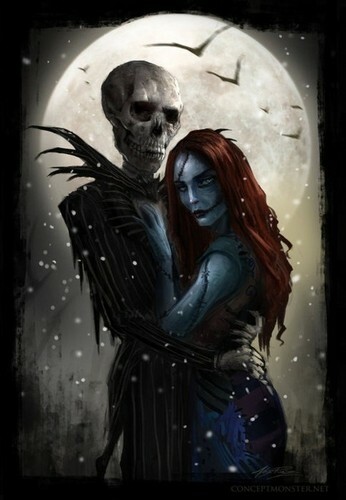 Jack and Sally. . Wallpaper and background images in the o estranho mundo de jack club tagged: the nightmare before christmas tim burton movie jack sally. This o estranho mundo de jack photo might contain anime, banda desenhada, manga, desenhos animados, mangá, and quadrinhos. Totally Wicked just love it !!! That's real dark. Jack kinda looks like a ghost rider, but without the fire on his head. jack's last name is skellington. I wonder what their children would look like. Love it. It looks scary. Polo. Thatt is so the point.